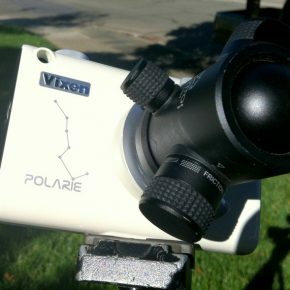 When I can find my polar alignment scope that came with my Orion Astroview Equatorial mount, I’m going to try it in the Polarie. My guess is that it will work just fine at a savings of about $180. Found my mount and polar scope. 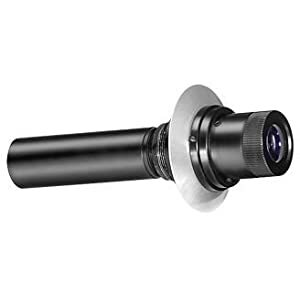 The polar scope barrel diameter is smaller than the opening in the Polarie. I found some schedule 40 3/4″ PVC had just the right inside diameter for the outer barrel of the polar scope. Some machining in a bench grinder (and hand sanding) has allowed me to make a few prototypes. We’ll see how well aligned they are! 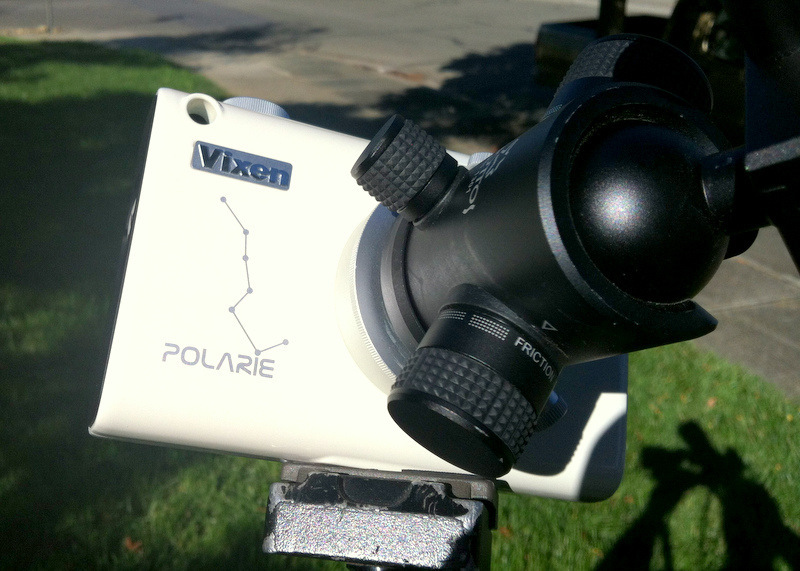 I used my cheap polar scope with my Polarie. It didn’t seem to help terribly much – in part due to mechanical slop that was my fault. 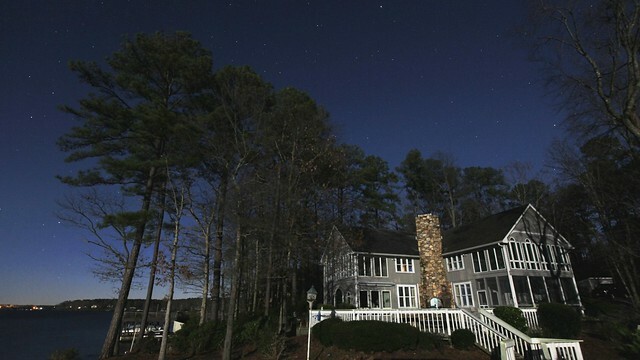 $700, 9 pounds Losmandy Starlapse (without a tripod). 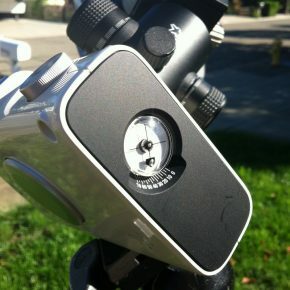 The Losmandy is solidly built dumbed down version of an equatorial mount. Despite that, it’s remarkably heavy (but will carry more gear). 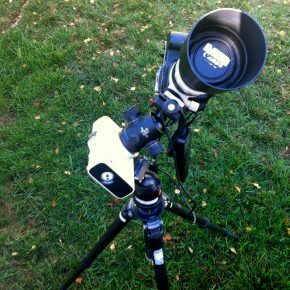 Unfortunately the bewildering array of configurations and optional components is likely to confuse all but the most desperate/dedicated astrophotographers. Any thoughts on the Polarie vs. the new iOptron Startrakker? They are both the same price, but the Startrakker comes with a polar scope. Polar scope is a nice add. The tilting base might be a help, though it only goes to 70 degrees. The stated capacity is a bit lower than Polarie but the battery life is a bit longer. The Polarie can be driven with a USB power supply. The iOptron requires higher power. iOptron doesn’t have lunar or solar tracking rates. Of course I don’t have one, so I can’t say more. Some reviews seem favorable. what do you think for orion min-eq? It’s a waste of money. See this article. What you’re describing is a cheaped down version of the Orion Adventures in Astrophotography bundle which itself is junk. I am looking at something like a Radian panning solution. And also an astro tracker. However, what you have shown here is that the polarie can be used as a horizontal panning device!! 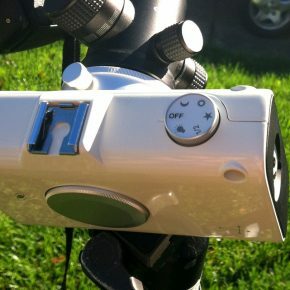 This is amazing for time lapses. I have a ball head tripod, I was wondering if any standard ball head will attach to the polarie so that I can attach camera to it? I recently found out about the Radian Kickstarter project. 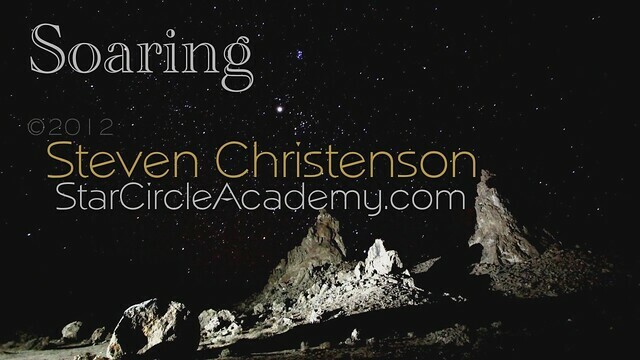 I am a backer of “Astro” which is similar, but a year behind schedule. If you look at the photo above, you’ll see I have attached a Giottos ballhead to the face of the Polarie, so yes, any standard head (e.g. a ballhead) can be attached. Do understand that while the Polarie can be used to pan (and it’s fun), you only have a few speeds to choose from and the fastest rate is Sidereal (the rate of the earth’s rotation). Astro and Radian should allow you to pan much faster if you wish. The Polarie is also strong enough to pan vertically, but it’s a little more difficult to use in that fashion due to balance issues. When we were up in the Alabama Hills this last summer, you mentioned that you had made a counterbalance to your Polarie unit. I can understand how this would help, as I now have my Polarie. Can you tell me if you bought the counterbalance, and share the make and model number? Can you send a photo or two or yours so I can make one? Any counterweight you use will have to be home brew. 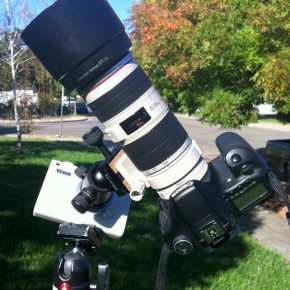 Duct taping weights to your lens hood, for example. In my case I carefully rested my iPhone on the lens hood. Not the epitomy of stability, but at the low-ish angle I was shooting it worked pretty well. Thanks for the thorough review. I just picked up my Polarie, aand am going to put it to the test with a Nikon 200-500mm f5.6. 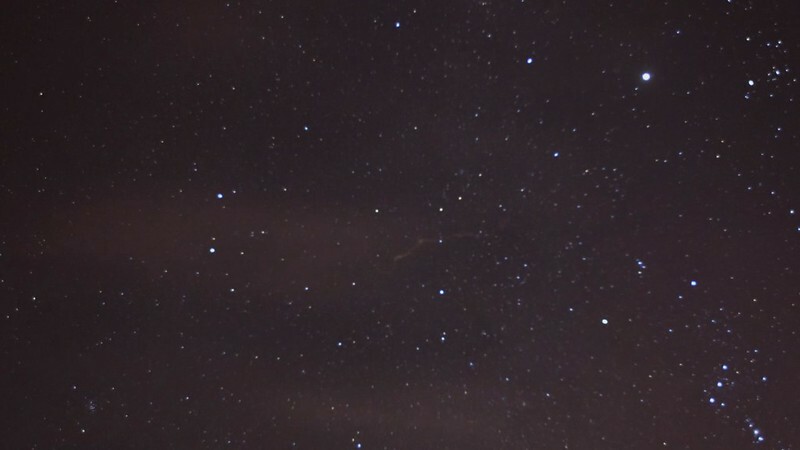 I have seen others get some decent m31 shots with 5.6 telephotos. I just hope the weight won’t be too much! The manual says 6 lbs, so it should be alright. What did you end up finding? Did this combo work well? I have a D750 and the 200-500mm and was looking to do the same thing.